What is this about? Since the late seventies, there have been almost continuous observations of polar sea ice by passive microwave sensing on multiple polar-orbiting satellites. This is the preferred technique since microwaves from the surface can penetrate clouds (which are abundant in the polar regions) and can be detected during the day and night – again, important for the wintertime at the poles. The current workhorse satellites for this measurement are the (aging) DMSP F-series (managed by the UASF). There are two currently operational for sea ice retrievals, F-16/18, which are 14 and 8 years old respectively. Another, F-17 is still in orbit, but may not be usable on its own for sea ice (. The design lifetime was nominally 5 years. A replacement satellite, F-19 failed completely in October, but in fact had not been useful for sea ice since February 2016. The last satellite in the series (F-20) was built two decades ago and kept in storage, but was decommissioned finally in November 2016 after a decision in Congress to no longer fund it in the FY16 budget. This was after the election, but before the inauguration of the Trump administration. While many instruments can be used to detect sea ice, the continuity required for long-term climate monitoring makes it vital that the different products are cross-calibrated and have similar characteristics to be useful. The closest instruments to the those on the DMSP satellites are the radiometers (MWRI) on the Chinese Feng Yun-3 series of satellites. 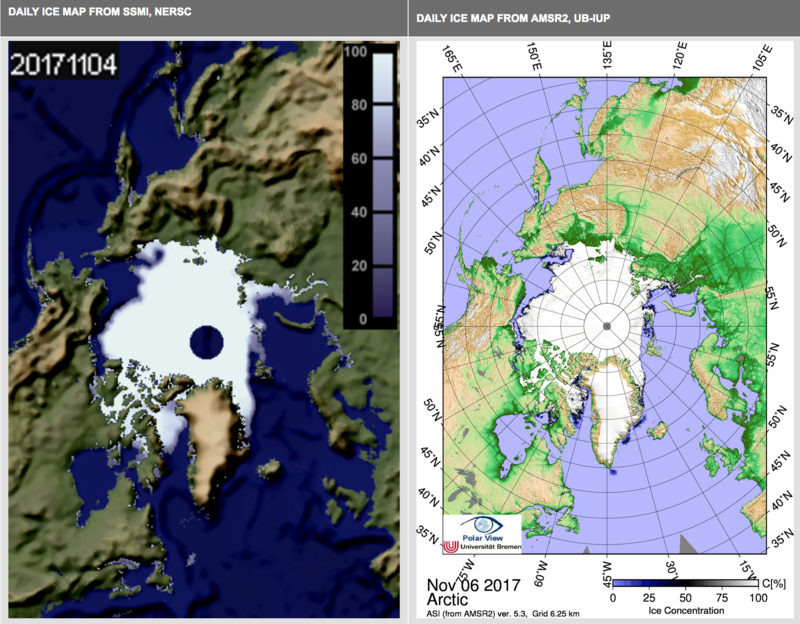 Unfortunately, again because of Congress, NASA collaborations with China are restricted and since the sea ice work at NSIDC is funded by NASA, that might prevent this source of data being used in the US (though presumably non-US colleagues would not have this problem). Another possibility is the Japanese satellite GCOM-W1 which has a more advanced AMSR2 instrument (in space since 2012, and has also passed it’s design lifetime), but the merge of this data with the DMSP satellites is still a work in progress. This is being used for the Bremen University sea ice maps though. Differences in views from passive microwave instruments (SSMI vs. AMSR2) via Arctic Roos. Unfortunately, the next scheduled passive microwave sensor to be launched is not until 2022 on the European Space Agency’s 2nd Generation MetOp satellite, and will need a year’s overlap with an existing satellite to be optimally calibrated. Thus the likelihood of a gap in the record developing before then is very high. 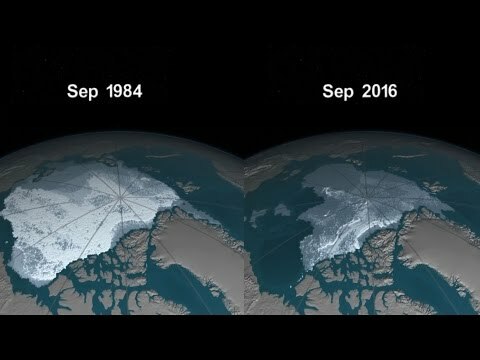 Other measures of sea ice will be possible – IceSat2 is launching next year will have an active laser altimeter to measure sea ice height, satellites with visible or infrared capabilities are able to see ice when it’s not dark or cloudy, but cross calibration into a homogeneous record will be hard. To be clear, people have been warning about this looming lack of capability for a while – in April and May 2016, as well as more recently. Unfortunately, new satellites and new instruments take a long while to develop, build and launch, and possibly we’ve been taking them for granted. That probably needs to stop. Note. Thanks to Walt Meier at NSIDC for chatting about these issues with me.